40% grant available for Pig & Poultry Farms who invest in Solar PV (Photovoltaic), Solar Thermal and other energy saving technologies. 13th of August, 2015 - Minister Coveney Announces Launch of New Pig & Poultry Scheme. 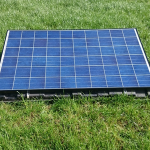 Clean Energy Ireland offer solar PV panels that are manufactured to the highest quality and have been officially recognised as a tier 1 PV Panel. Available in Polycrystalline or Monocrystalline in either silver frame or black frame. The Solar Photovoltaic (PV) panels transform daylight directly into electricity and is a rapidly expanding market worldwide. The panels produce DC voltage during daylight hours, this is converted immediately to normal ESB compatible voltage and is distributed throughout your property. 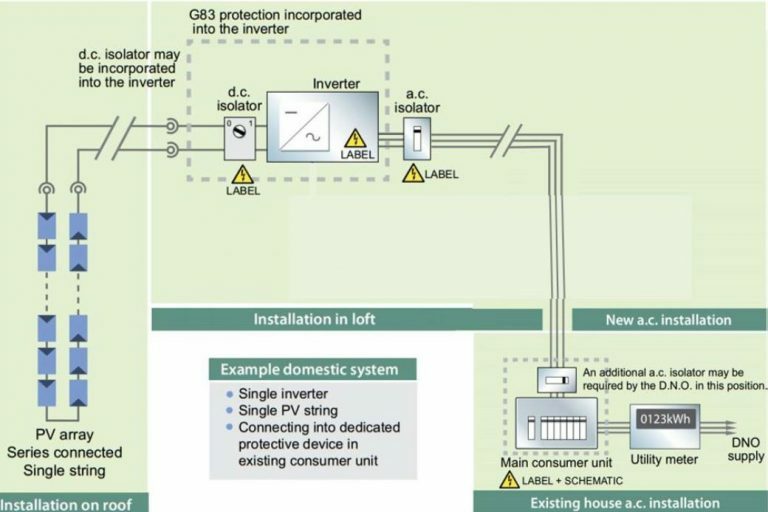 Excess power can be exported back to the grid, or used for space or water heating. The sun provides us with an unlimited and reliable source of free energy. 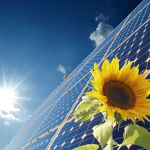 Solar PV (Photovoltaic) panels harness this free and natural energy and convert it into useful electricity. lf the PV installation is designed correctly you could get all your electricity from the panels during periods of the day. 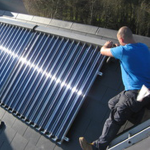 PV systems are suitable for commercial applications, new and existing dwellings. They are designed and sized based on acustomer’s budget, electricity needs, size/shape andWh/yr of electricity), a PV system of orientation of panel space. In a typical 3 bed house (using 3290 k 1.5 – 2 kWp (about 12 to 15m2) could provide 50% of your annual electricity requirements. - Passive House Systems examines your energy consumption and proposes a system to meet a percentage of that demand. - Solar PV Modules are mounted on the best available roof space. (Special brackets can be installed for ground mounting). - The solar inverter (converts DC voltage to AC voltage) is connected to the main distribution board. - When the Solar PV Panels are producing more electricity than you are using, the surplus is fed back to the grid or sent to an immersion/heater. - At times of higher demand the shortfall is made up by power drawn from the grid. 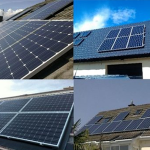 - Various Solar PV installations in Leinster.